This rimmed soup bowl from Wedgwood features a sculpted pattern inspired by the meticulous handcrafted baskets of Nantucket, Massachusetts from the late 19th century. 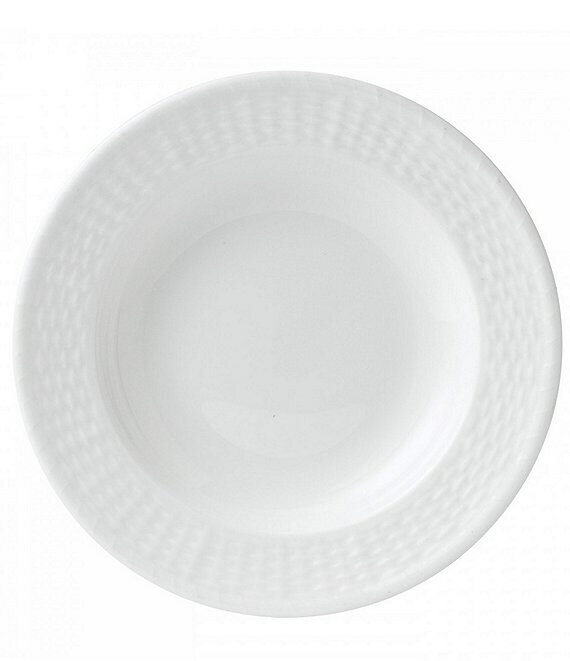 Pure white bone china. Approx. 9". Dishwasher and microwave safe. Made in the United Kingdom and Indonesia.